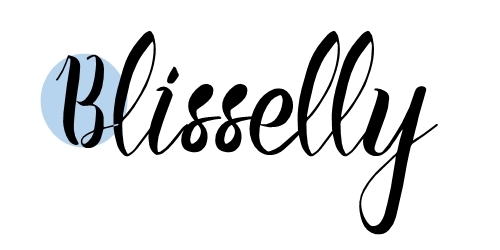 I started Blisselly in 2018 and I didn't count is this my 4th or 5th blog. Yes, that's right, I've had many blogs by now and through these couple years of blogging I've learned some pretty useful and life-changing tips and also I realized what I'm doing wrong, but if you wanna know what to DO, then you came to the right place, because I'm sharing my knowledge for total beginners and how to start a blog from a SCRATCH! Blisselly literally came out of nowhere. Well, not really. Every single one of my blogs had 'ella' in it and it kinda sounds elegant to me, so I had to keep it here with a little change. There are a lot of sites where you can mix some words up (you can try words your blog is about, niches, your name, etc) and get a brand new word, for example, Word Mixer is a great one where you can mix up to 5 words! If you want to keep it simple, just put your name. But remember - your blog name should be easy to remember and not too long. You want to make readers come back to your blog for more content and they surely can't do that if they can't remember your blog name. One more thing to keep in mind is that you shouldn't use too much similar letters or numbers in your name, because that's only gonna make it harder for people to remember it. So keep it SIMPLE and UNIQUE! I know most blogs are Wordpress, Bluehost ones, but I'm still on Blogger and I have a domain from Godaddy which works fine for me. Considering I'm a teenager and truly broke, Godaddy offers domain for $12 per year, which is pretty fine for a broke 15-year old like me. Yes, I do plan to transfer to Wordpress and Bluehost but everything's working perfect and on budget with the current ones. It's really up to you and what do you think is the best for your blog (and how much you can afford really). Although, I wouldn't recommend spending too much money if your budget is low. Bluehost and Godaddy are not that much expensive and it's reliable, don't think more expensive means better quality! Ahh, I can't get enough of this one, because it's so important. If a person is reading your post and they want to see more, of course, they will click on your site. But chances are if they see a dark theme, hard to read font and low-quality images, they will most likely just quit. My recommendation is - KEEP IT CLEAN AND SIMPLE. There is nothing prettier than white or pastel themes, and easy to read fonts. If you're wondering where to find these beautiful designs, my recommendation for Blogger is Gooyabi templates. All themes on this site are FREE and you can find some really beautiful ones, but be ready to really dig - because there's a lot of them. You can also search up Etsy for Wordpress and Blogger, they have some really budget-friendly clean themes that are perfect for your blog. Again, I don't recommend spending too much money on this, although it is really important, the readers aren't just going to focus on design but on a more important thing which is your content. I see a lot of bloggers telling you to have to focus on one thing, or your blog won't work, won't be successful. My question is - how is that possible, pretty please? Why do I have to limit myself to only one thing? One niche was the exact reason my previous blogs just didn't seem to work. I didn't have anything to write about from that particular topic I was focusing on and to be honest it got really boring. Don't get me wrong, I loved writing about it, but it was just repetitive and a community wasn't interested in that stuff anymore. If you plan to draw more traffic and readers to your blog my tip is to write about multiple things, but these gotta be ones you love and enjoy. If you love just one thing and full of ideas for that niche, that's completely fine, I'm just saying one niche isn't really my thing and I want to communicate with different people with different interests, like fashion and travel which are also my fashion and you'll be able to read about those on my blog as well. This one is a biggie for traffic and your readers. You have to be updated about your blog's traffic of course and its visitors. It shows a lot of things, for example, how many visitors are currently on your site, daily, weekly, etc. One thing I love the most is looking hourly visits, so I know what is the best time to launch a new blog post. Most people usually read posts around 4-5 pm, but don't rely on this fact - go and sign up for Google Analytics and see for yourself what is your best time to post! This one is the most important for traffic, next to the analytics. Social media definitely draws the most traffic and views to your blog, especially Pinterest, Instagram, and Facebook. These 3 are the KEY to your traffic, so make sure to make them for your blog. Of course, it's not enough to only make those, you also gotta learn how to use them properly as a tool to draw the right people to your blog and valuable content. Pinterest is my favorite one because people search up a lot on it and if your photo is nice - you will most likely get a click and a right person has come to see what you have to say. Photos and quality are everything. I usually use PicMonkey and Canva to make Pinterest graphics, and trust me, these are life-changing and pretty good tools to your social marketing game! You've come to an end - LAUNCH IT! 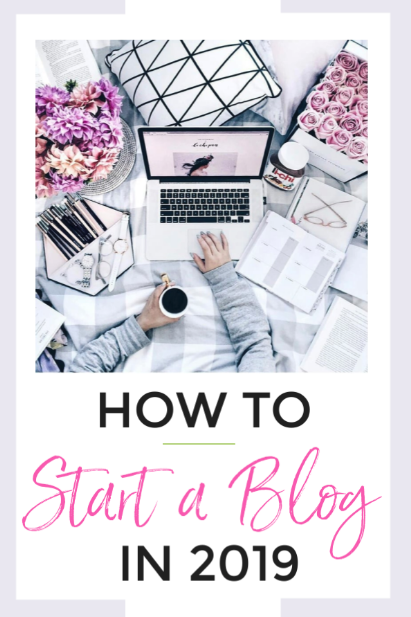 So, you officially have some info on how to start a PROFITABLE blog in 2019 and ON BUDGET (love that one!) But BEFORE launching one more thingie to go is - write at least 20 blog posts before launching. You have to be prepared to serve your readers fresh and good quality content so they have a reason to stay on your blog. But remember - QUALITY OVER QUANTITY! Don't let your goal be - I have to publish new post every day, no, that's just not it. I'm more like - I have to publish good, valuable content. Here, on Blisselly, you can expect a new post every 3 days most likely and I think that is perfectly fine. If you want to learn more about blogging for beginners, traffic tips and a lot more - stay tuned, because Bliselly's got your back! 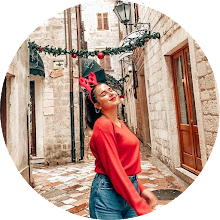 Blisselly is a blog behind only 15, but hard-working author Jovana. 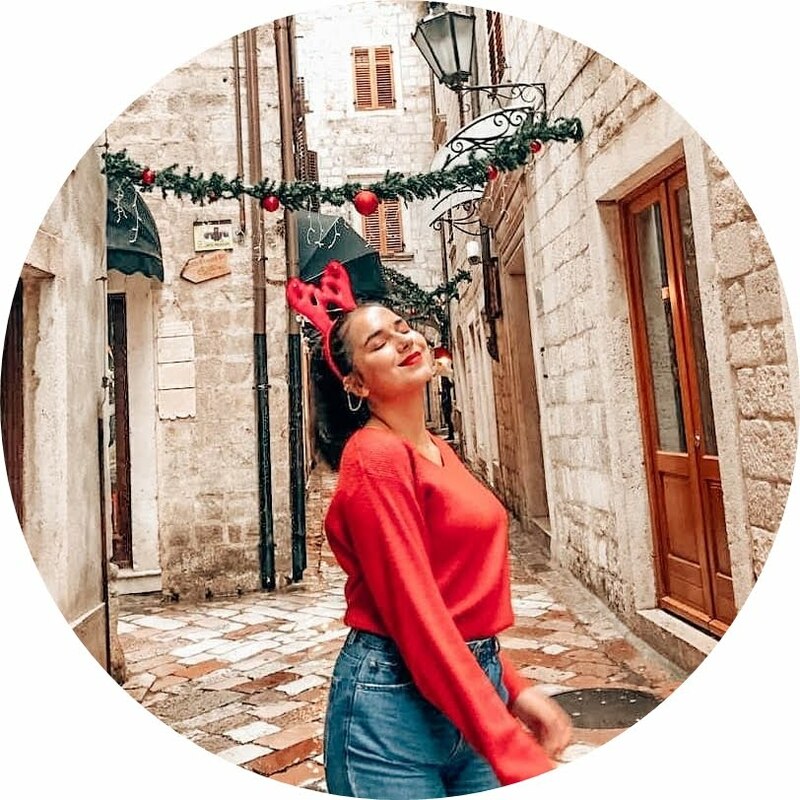 Jovana is a teen blogger from Montenegro and loves sharing inspiration from different topics like lifestyle, fashion, travel. She also drops a few blogging tips she's learned through her blogging career. Would you like to follow each other? If the answer is yes, please follow me on my blog & I'll follow you back. Want to be the first to know new blogging tips? Sign in and let the new content ROLL IN!